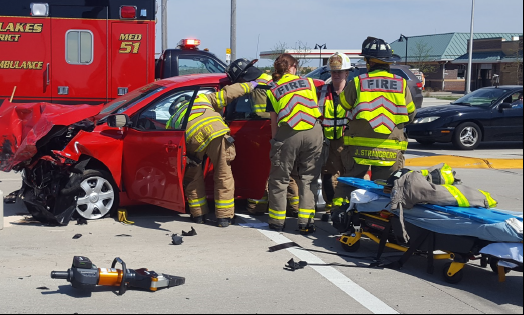 The Western Lakes Fire District (WLFD) provides fire prevention and suppression, rescue, and Critical Care Paramedic-level Emergency Medical Services to ten municipalities in Waukesha, Dodge, and Jefferson counties. WLFD proudly serves the Town of Ashippun, Town of Concord, Village of Dousman, Village of Lac La Belle, City of Oconomowoc, Town of Oconomowoc, Town of Ottawa, Town of Sullivan, Village of Sullivan, and the Village of Summit. WLFD serves over 34,000 residents and covers close to 170 square miles with an annual call volume of over 4,300 calls. WLFD employs ten full-time and approximately 150 part-time and paid-on-call personnel. The WLFD offers a competitive wage package that includes shift differential for weekends and holidays. Participation in the Wisconsin Deferered Compensation (WDC) Program is available from your first day of employment. Participation in WRS is also authorized if the hour requirements are met. Additional benefits include state-of-the-art ambulances and medical equipment, modern facilities with living and sleeping quarters at all four stations, a positive working environment, and sponsorship for additional training (firefighting, AEMT, Paramedic, Critical Care Paramedic, etc). Qualified applicants will be hired to fill positions as needed. An eligibility list will be established for any future openings. 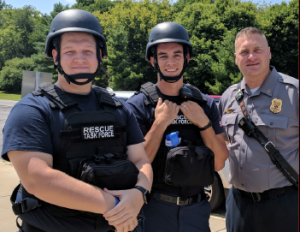 Minimum requirements for the position include: 18 years of age, high school diploma or GED, possession of a valid driver’s license with a good driving record, a current State of Wisconsin EMT license or above, the ability to work independently with minimal supervision. State of Wisconsin Firefighter I certification or higher is strongly desired but not required. Applicants will be subject to a pre-employment physical, drug test, and a criminal background check. All applicants must provide copies of the required certifications and documents when submitting their applications. Applications can be obtained at any of the Western Lakes Fire Stations or online at www.westernlakesfd.org. 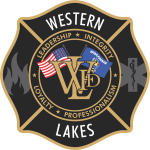 Questions regarding the positions or the application process should be directed to Deputy Chief Tim Meyer at (262) 567-8282, ext 3604, or email to tmeyer@westernlakesfd.org. Completed applications can be emailed to applications@westernlakesfd.org. Applications can also be mailed or delivered to the Western Lakes Fire District, Attn: Deputy Chief Meyer, 1400 Oconomowoc Parkway, Oconomowoc, WI 53066.